Dana Galin specializes in executive coaching and works with senior leaders and their teams to help them improve performance and generate greater business results. She has spent 25 years as a trusted advisor helping her clients identify and implement strategic solutions to their leadership development, human capital and communication needs. In every consulting assignment, Dana focuses not only on the individual, but also on the system within which her clients operate to help create sustainable change. Her ability to spot adaptive leadership challenges enables her to help her clients create transformative solutions that translate into business success. Dana has worked with hundreds of clients across industry sectors in myriad talent management disciplines, including leadership development, team coaching, key man relationship coaching, women’s advancement, change management, onboarding, assessment, career strategy, career transition, 360-degree feedback and communication. Dana has had extensive training across domains relevant to high-performance leadership and team effectiveness, including coursework at some of the world’s leading academic institutions. She is certified in a number of psychometric instruments and is also trained in improvisational acting, image consulting and storytelling. Additional clients served include AIG, Kirkland & Ellis, Bain & Co., BlackRock, PepsiCo, Pfizer, Publicis, WebMD, NBA, the Bloomberg Administration, charity: water, Junior League and many others. Dana has also delivered career strategy programs and keynotes for The S.C. Johnson School of Management at Cornell, Georgetown’s McDonough School of Business, Wharton School of the University of Pennsylvania, and Columbia Business School. An entrepreneur at heart, Dana has helped launch a number of companies, including Kayak.com, a leading travel website; as well as New York-based talent development consulting firms Defineum and The Imprint Group. Dana was the Head of Communications for the Trickle Up Program, a microfinance organization focused on helping the poorest people build businesses. 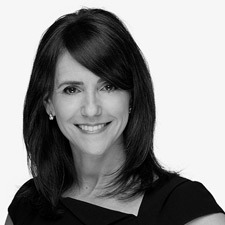 Prior to that, Dana held senior roles at leading public relations agencies, including Robinson Lerer & Montgomery in New York and the Gable Group, Golin/Harris and Rogers & Cowan in Los Angeles. During that time, Dana’s clients included Foley & Lardner, Nintendo of America, The Walt Disney Co, Sprint, Yamaha, Vidal Sassoon, Taco Bell, Hewlett Packard among others. Dana has also served as an adjunct executive coach for the S.C. Johnson Graduate School of Management at Cornell University and participated on the Corporate Board of ALPFA, a leadership development organization for Latino professionals.